Prague, the capital of the Czech Republic, is famous for its rich history and was one of my very favorite stops on my fall Euro tour. I’ll be in Europe in July, and I’m plotting a summer return to the City of Spires. Even though I only spent three short nights in Prague, I’m convinced that it is a must-see destination. Apparently I’m not alone in my love for Prague. It’s estimated that the city receives over 4.1 million visitors every year. Perhaps some of the draw is the fact that it’s listed as a UNESCO World Cultural and Natural Heritage sites, meaning it has a unique history and many beautiful landmarks. I’m not sure if the Czech beer was taken in consideration when bestowing that honor, but I imagine it didn’t hurt their cause. 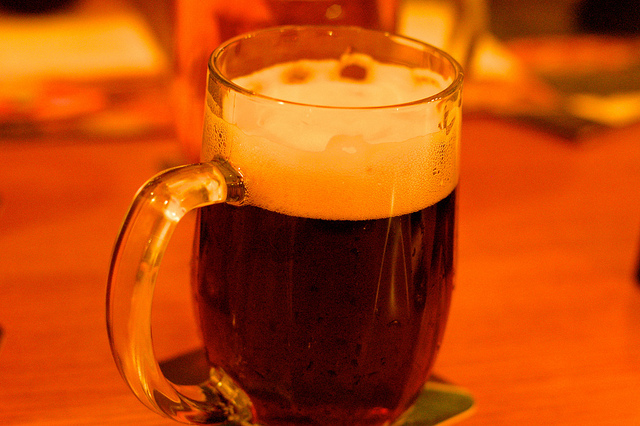 The great beer is just one of the things I miss about Prague. 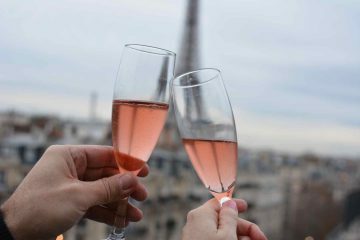 But not just about history and booze, Prague is also known for being a romantic place. The mixtures of Gothic, Romanesque, and Renaissance buildings definitely are alluring. My friend, Gerard, thought the city to be quite romantic, as he proposed to his girlfriend, Kieu, on the Charles Bridge. Since Prague is relatively inexpensive compared to other European capital cities, feel free to roll out the red carpet for your loved one. Looking for good deals from Co-op Travel can also help the would-be Romeo stretch his dollar. 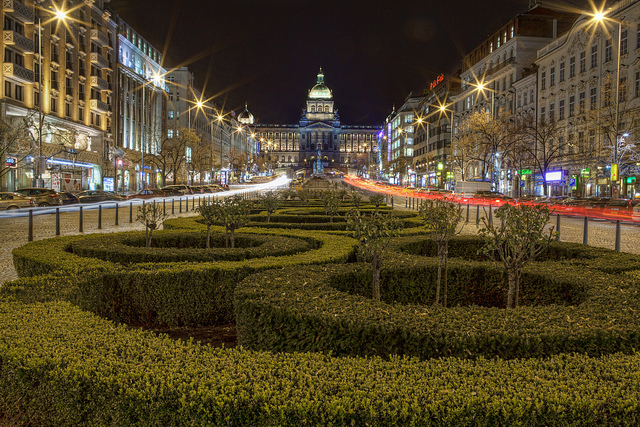 History buffs know that Wenceslas Square is the central point of some of the most historic buildings within Prague and shouldn’t be missed. At the end of Wenceslas Square, the Grand Czech National Museum is just waiting to be explored. A grand statue of St. Wenceslas on a horse greets you before entering the magnificent museum. My favorite part of Prague is the Old Town. 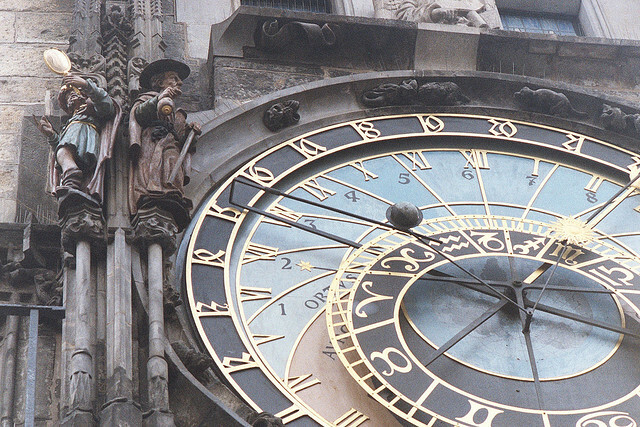 I stayed just a short walk from the famous Astrological Clock and explored the area on a walking tour. Old Town is easily one of the most historical and interesting parts of the city and one to get lost in for hours. The cobblestones and narrow alleyways are worth the walk. 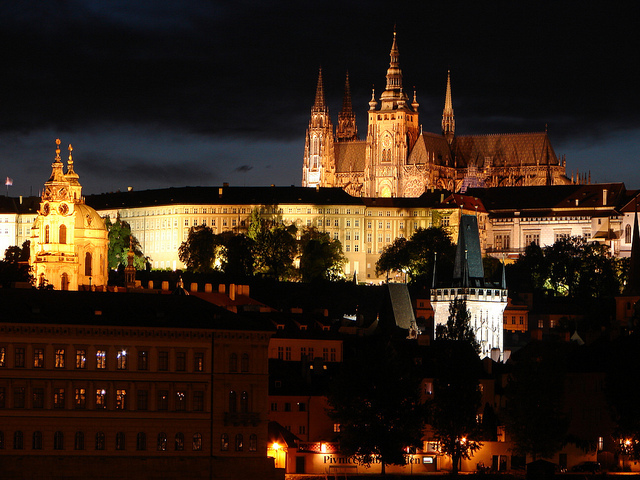 One of the iconic symbols of the city is the Prague Castle. Its historic and romantic presence demands attention as it dominates the skyline. Apparently a whole day can be dedicated to the castle, but alas, I only saw it from the Charles Bridge. Visiting the castle will be the second thing I do when I return to Prague. The first? Ahhhh, I need to visit Prague. I’ve always thought of it as a romantic and whimsical place, not as a booze town. And I feel like I could wander the old town for hours! I think it’s a little of both, Ryan. Yes, it’s time to go back to Prague! I’d also like to recommend visiting Prague’s 2nd castle, Vysehrad, accessible from the Old/New-Town by foot or by train, and heading out to the old vinyards district, Vinohrady, just east of New Town. Thanks for your post, Leah! Absolutely agree with you – love Prague to bits. It’s one of the most enchanting European cities we have been to in the last 5 years. Don’t miss the nuclear bunker tour and party next time you are in Prague. It’s amazing. We had compiled a list of our top 10 offbeat things in Prague – http://www.bruisedpassports.com/wheres/offbeat-prague-top-10 . Have a great time there ! 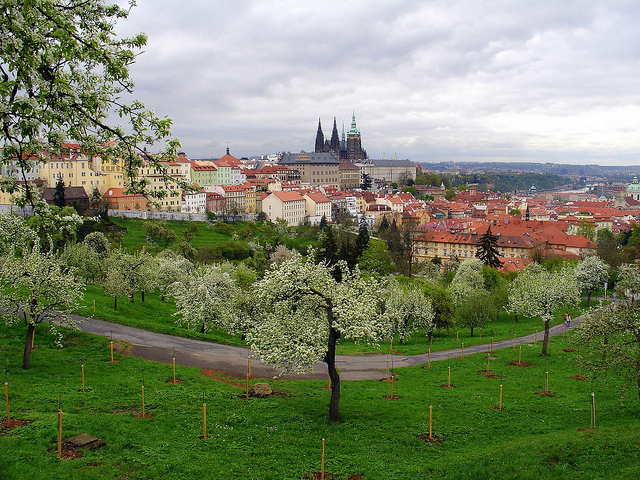 Sorry, here is the link: Top 10 offbeat things to do in Prague. I’m totally bookmarking your post. Thanks for passing it along. Oh, how lucky you must feel to have lived in such a wonderful city. I can’t wait to get back. It’s looking like less than a month. I’ll send my regards. I cant wait to return to Prague.. I am so sorry I wont be able to join on your next visit! gotta figure out what NEW things i’m gonna seek out this time in Prague… i know i did miss some good highlights!! Look, I’ve got to get to the Prague Castle this time. Oh, what a great story you’ll have to tell. I’m just glad I didn’t spill the beans before Gerard did the deed!